Home Baby Care Is it Safe for Children’s Health to Drink Coffee and Tea? When the child is a little older and starts eating everything, then we often allow him to drink tea or coffee, thinking that a little coffee or tea will not spoil the child’s health. Especially when winter or child has a problem of colds and cough, then we give the child to drink tea or coffee he, but this can make the child a habit that can be harmful for the child health of the child may be. 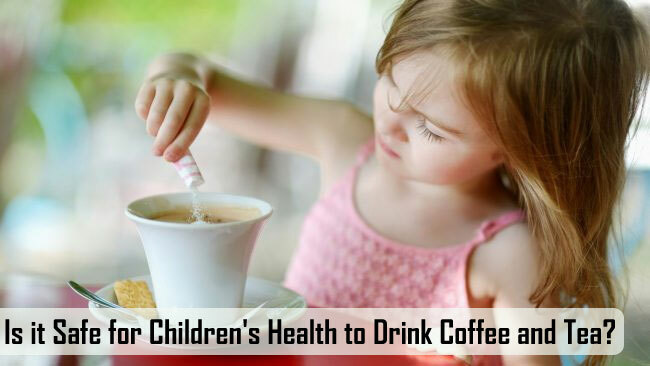 Now the question arises, is it Safe for Children Health to drink coffee and tea? The main ingredient of tea and coffee is caffeine, which has a bad effect on the nervous system i.e. the nervous system. Any item containing caffeine is harmful to the health of the child. About 100 grams of coffee is about 40 mg of caffeine, while 11 mg caffeine is found in the same tea. Caffeine also affects the child’sdevelopment. As already mentioned, caffeine is high in coffee and tea, so that the child may have diseases like insomnia. Caffeine increases the blood pressure of the body, causing the child to have anxiety problems and this problem causes sleepiness. It can also have difficulty in activating and focusing on the child. Those who are addicted to coffee or tea, if they do not get tea or coffee once in the morning or in the day, they become headache and this problem is also for the children. Tea and coffee also become a harmful habit for children. There is no such element in tea and coffee, so that the children can be nurtured, so instead of tea, give them the milk, juice or lassi etc. to consume nutritious drinks. Generally, the amount of sugar in tea and coffee is very high. More sugar intake can make the teeth of children worse, as well as the likelihood of obesity problems in children increases even more. Coffee is a diuretic beverage, which means that drinking coffee more frequently than drinking coffee and frequent urination causes calcium loss in the body. According to research, caffeine reduces to 6 grams of calcium in the body by every 100 grams of caffeine. Calcium is also very important for the development of children and their bones and teeth. Tea and coffee consumption can also cause problems related to stomach such as abdominal pain, burning sensation, acidity etc. Previous articleWhat Is Hip Replacement Surgery?